Dreaming of the “good life?” Make your dreams a reality at Barefoot Landing. 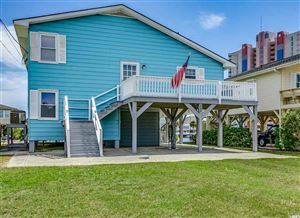 RE/MAX Southern Shores North Myrtle Beach agents specialize in making YOUR DREAM to buy property in Barefoot Landing a reality. Barefoot Landing is more than four golf courses, boutique shopping, and dozens of restaurants! Just across from the commercial development called Barefoot Landing is the ultimate resort experience in North Myrtle Beach. Barefoot Resort is a dream place to live and play. Imagine living along the Intracoastal Waterway with more than 15 unique communities to fit almost any dream or budget. Barefoot Landing property owners enjoy FREE shuttle service to the oceanfront beach cabana and one of the largest swimming pools on the Grand Strand. Dreams of golf, sand and surf all come true at Barefoot Landing which boasts a full service marina, on-site restaurants, walking/biking trails, golf, and more. For more information visit RE/MAX Southern Shores at http://www.northmyrtlebeachhomesonline.com or call 843-249-5555 to speak with a RE/MAX North Myrtle Beach agent personally. Let us make your Barefoot Landing dreams come true!